[패턴영어] When is the best time to ~? When is the best time to ~? ~에 가장 좋은 때가 언제야? 제주도로 여행을 가기에 가장 좋은 때가 언제야? When is the best time to travel to Jeju Island? 언제 그에게 도움을 요청하는 것이 가장 좋을까? When is the best time to ask for his help? 언제 전화하는 것이 가장 좋을까요? 언제 출발하는 게 제일 좋을까요? When is the best time to depart? 언제 약을 먹는 게 가장 좋을까요? When is the best time to take medication? 언제 공부하는 게 제일 좋을까? 언제 도보 여행을 하는 것이 가장 좋을까요? When is the best time to go for a hike? 언제 씨를 뿌리는 것이 가장 좋을까요? When is the best time to plant seeds? 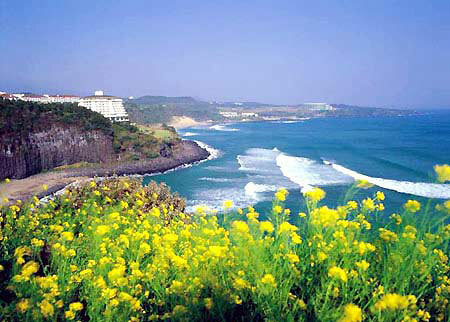 A: When is the best time to travel to Jeju Island? B: The day of your wedding. A: When is the best time to depart? 언제 출발하는 게 제일 좋을까? B: The earlier, the better. A: When is the best time to study? 언제 공부하는 게 제일 좋지? B: Whenever your mind is fresh. 언제든 네 정신이 새로울 때지 뭐.